TORORO – President Museveni has said he does not need to be reminded of his unfulfilled pledges to different sectors and instead urged Ugandans to focus on working hard to improve household income. 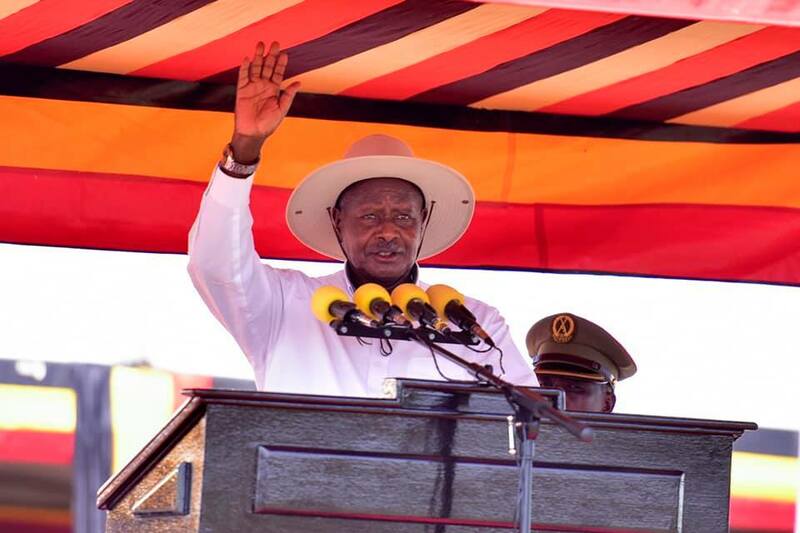 Speaking during NRM’s 33rd Liberation Day celebrations in Nabuyoga Sub-county, Tororo district, on Saturday, the President said since taking over power, his government has achieved many things which should not be overshadowed by the few minor failings. “You should not waste your time reminding me of what I have not done. I know my obligation. I know most of the things I have not done for this country,” Museveni said at Nabuyoga playgrounds. “A lot of things have changed in this country since we captured power and I am now appalling to the people to concentrate on uplifting their household income instead of reminding me little things have not done,” he added. The President, however, pledged to compensate those who were affected by the insurgencies including the Lakwena war victims in Tororo district. More than 2,700 survivors and victims of the insurgency mainly from the sub-counties of Nabuyoga, Mulanda, Iyolwa, Kirewa and Magola in West Budama have for long been demanding to be compensated for their properties and lives they lost during the course of the insurgency. “The government has not ignored the pain of those who were affected by the insurgencies,” he said. Mr Museveni also emphasized NRM principles of patriotism, regional integration and social economic transformation, among others. “The integration of both East Africa and Africa as a whole is important because it will guarantee prosperity for all occupants of the continent,” he said. The President at the celebrations also launched a book titled ‘Universal Primary Education: Transforming Uganda’, which highlights the success story of the programmes that started 20 years ago. President Museveni said the introduction of free education has had a positive impact to the economic development of the country. “The ones who were laughing at me should come and see what has been done by UPE,” he said.